Allen has been living and working out with quarterbacks Sam Darnold and Josh Allen since January, Sal Capaccio of WGR Sports Radio 550 Buffalo reports. Analysis: The trio of second-year quarterbacks appears to be training with former NFL quarterback and current throwing coach Jordan Palmer, throwing four days per week. While Kyle Allen is clearly the ugly duckling of the bunch, training with a pair of top-10 picks seems like a prudent way for the 2018 undrafted quarterback to spend his first professional offseason. At the very least, it further corroborates the shoulder injury he sustained in the season finale wasn't a long-term issue. Allen (shoulder) recently indicated that his injury isn't serious and said he expects to be back to full health in a matter of weeks, Bryan Strickland of the Panthers' official site reports. Allen won't return to Sunday's game at New Orleans due to a shoulder injury, Jourdan Rodrigue of The Charlotte Observer reports. Allen's final line Sunday reads 16-for-27 passing for 228 yards and two touchdowns. 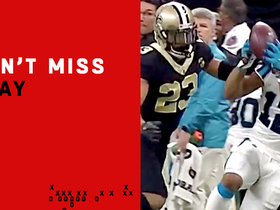 Analysis: Allen took a massive hit from the Saints' Marcus Davenport midway through the fourth quarter and remained on the turf for some time. He subsequently had his right throwing shoulder examined on the sideline, according to Joe Person of The Athletic. 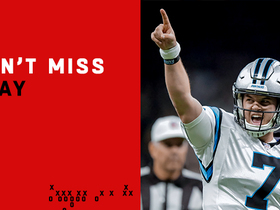 With Allen and Taylor Heinicke (elbow) going down in back-to-back games in place of Cam Newton (shoulder), Garrett Gilbert takes over the offense for the final minutes of the Panthers' season. Coach Ron Rivera confirmed Allen will start Sunday's season finale at New Orleans, Bill Voth of the Panthers' official site reports. 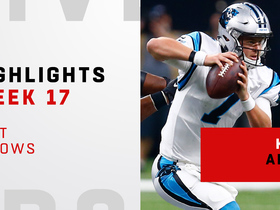 Allen is expected to serve as the Panthers' starting quarterback Sunday against the Saints after Carolina placed Taylor Heinicke (elbow) on injured reserve Wednesday, Max Henson of the team's official site reports. 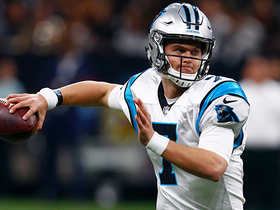 Coach Ron Rivera noted that Allen will be the next man up to start the Panthers' Week 17 game against the Saints in the event Taylor Heinicke (elbow) is unavailable for the contest, David Newton of ESPN.com reports. The Panthers signed Allen from their practice squad Thursday, Jelani Scott of the team's official site reports. Analysis: Allen's spot on the 53-man roster comes following the placement of Shaq Thompson (shoulder) on injured reserve. With Cam Newton (shoulder) expected to be shut down for the season, Allen will slot in as the Panthers' No. 2 quarterback behind Taylor Heinicke. Allen was signed to the Panthers' practice squad Tuesday, Max Henson of the Panthers' official site reports. Analysis: The Houston product is back with the Panthers after he was signed, and then subsequently cut, by the team earlier this season. To make room for Allen, the Panthers cut Dezmen Southward from their practice squad. Allen worked out for the 49ers on Tuesday, Eric Branch of the San Francisco Chronicle reports. Analysis: The 49ers brought in multiple quarterbacks Tuesday, as the team needs to fill the void left by Jimmy Garropolo, who's out for the season with a torn ACL. 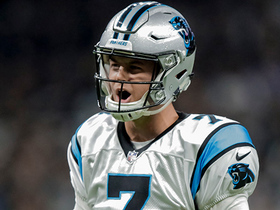 Allen signed with the Panthers after going undrafted in the 2018 NFL Draft before being released during roster cut downs. The 49ers will likely want someone with significant experience to back up second-year quarterback C.J. Beathard, leaving Allen's chances of signing with San Francisco relatively low. 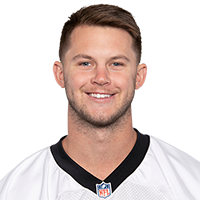 Carolina Panthers quarterback Kyle Allen has an impressive first career start, throwing for over 225 yards and two touchdowns in a 33-14 win over the New Orleans Saints in Week 17. 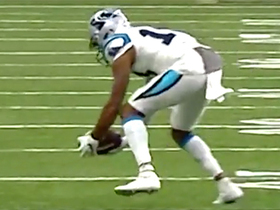 Carolina Panthers quarterback Kyle Allen stays calm in the pocket on fourth down and delivers a pass to wide receiver Jarius Wright for a first down. 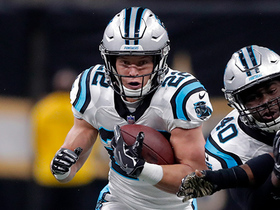 Carolina Panthers running back Christian McCaffrey takes a screen pass 22 yards after breaking ankles and delivering a nasty juke.